Fans of the Wizards and Caps will be able to enjoy some new renovations at Capital One Arena starting next season. The improvements will cost $40 million. 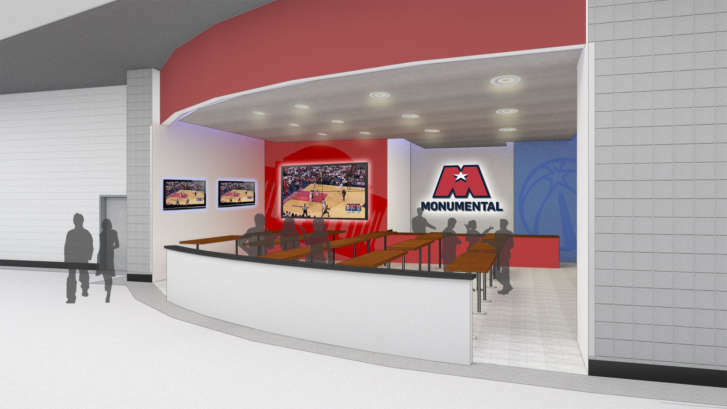 WASHINGTON — Monumental Sports & Entertainment plans $40 million worth of upgrades for Capital One Arena. The renovations will be entirely privately funded. Beginning in the Capitals’ and Wizards’ 2018-2019 season, fans can enjoy brand-new padded seats with cup holders throughout the arena and a new sound system. Other renovations include two new destination lounges, newly designed concessions, a makeover for the PwC Club, new digital displays and wayfinding signage and a retail store that will be open year-round. Monumental also promises to step up its food game. The company said concessions, lounges and clubs will now feature award-winning and celebrity chefs, including Cat Cora and Alex McCoy. Capital One Arena, which recently changed its name from the Verizon Center after Verizon’s naming rights contract expired last year, first opened as the MCI Center in 1997. The renovations will begin at the end of the 2017-2018 NBA and NHL seasons and are expected to be completed by fall 2018.